Tuscan food is simple but hearty which makes it the perfect choice for grey autumn days. 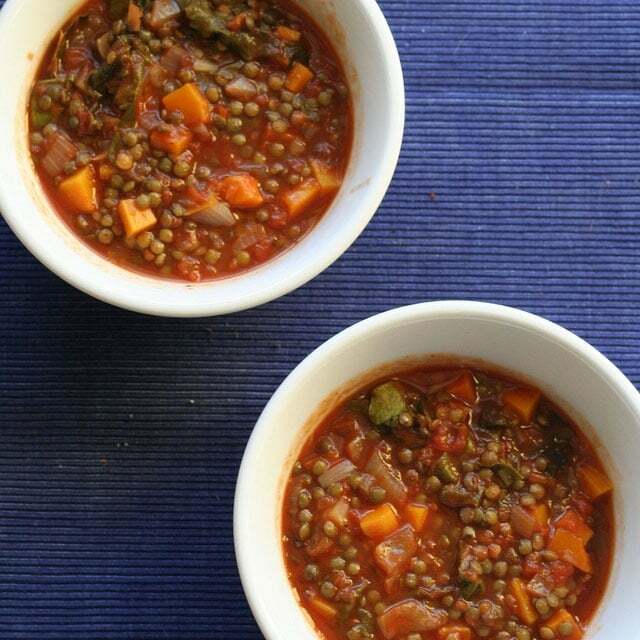 This vegetable soup from our Italian cooking holidays in Tuscany will not only warm you up but is also extremely healthy and a great vitamin booster on colder days. This recipe makes approx. 4 servings. 500g dried mixed legumes - lentils, peas, barley, black-eyed beans etc. Chop the celery, carrot, onion, garlic, sage and rosemary into really fine pieces, almost like a powder and put everything in a pot with a generous amount of olive oil and fry gently for 10 minutes until it starts to change colour. Rinse the legumes mixture in water (no need to soak) and add to the pan. Stir to coat in the vegetable mix then fill the pan with warm water. For every 500g of legumes add 1 and a half litres of water. Add 1/2 tin of cherry tomatoes, the clove, grated nutmeg and a cinnamon stick. Bring to the boil and simmer slowly for about 1 and a half hours until the soup becomes creamy – leave uncovered. At the end add the salt, white pepper and nutmeg to taste. If you feel inspired by our delicious Tuscan recipe then check our Italian cooking holidays and taste more of Italy’s fantastic flavours. Can’t wait? Then download our new 2016 brochure here!